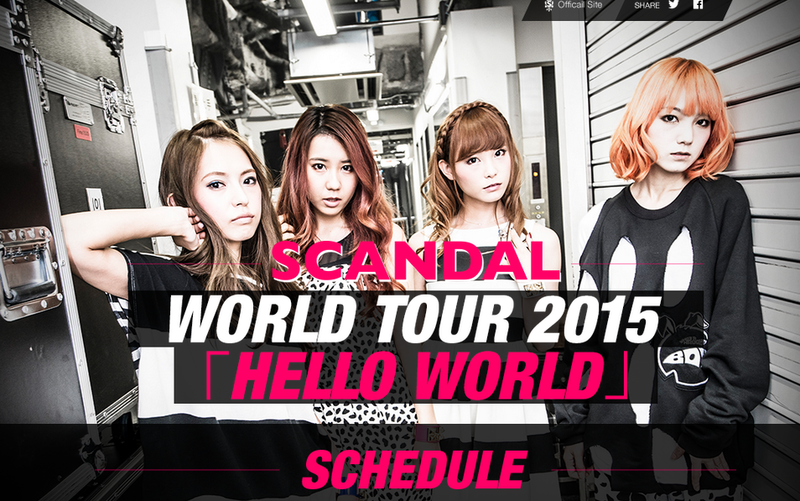 SCANDAL has announced their U.S. dates for the U.S. Leg of their World Tour 2015 "HELLO WORLD". Tickets so far are only on sale for Chicago show. More coming soon! The following were listed on Official website then taken down, We will keep you posted.